Eye-catching though such headlines might be, this is more sensationalism than reality. These particular bears have been onshore since early July this year (about the time some Western Hudson Bay bears come ashore) and sea ice conditions have been similar this time of year since 2007. In other words, despite what some writers are claiming, sea ice conditions this year are nothing new. A few bears usually visit this station each summer when the sea ice leaves – but this year there were more than a dozen bears rather than a few. My opinion as a scientist is that more bears – more bears that are increasingly unafraid of people – are likely the cause of the sudden increase in numbers of bears being a problem at this location. Note that of the 14 bears, four were cubs, which is a good crop of youngsters. In addition, hunting polar bears is banned in Russia and this incident shows to what lengths people must go to avoid killing them – the population must be booming and may be higher yet than the last population count (in 2013) of about 3,200 bears. More bears means more competition for food, which means more assertive bears get the goods. None of these bears were described as thin or starving – see more photos, like the one below, from the Russian weather station (Daily Mail, 18 September 2016). 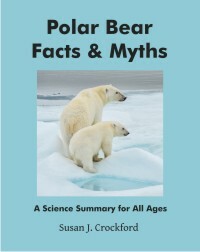 While polar bears are always on the look-out for food (and thus always a potential threat to humans), they are most apt to be truly dangerous in winter (when they are at their lowest body weight) and in spring if seals are in short supply. That’s why my new polar bear attack thriller EATEN is set in early spring, in a year when seals happen to be scarce. Imagine the damage those Russian polar bears could have done if they’d been truly desperate for food – a mere door or window would not have stopped them. Imagine if dozens of truly ravenous polar bears stalk and ambush people across a great frozen landscape, taking them by complete surprise because no one considers a bear attack in spring to be a real possibility. 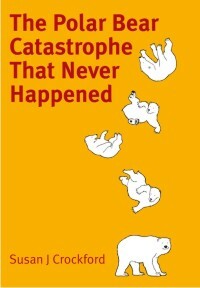 What if dozens of people have been killed and eaten by hungry polar bears and there is no end in sight? That is the premise of EATEN – a science-based novel set in Newfoundland that will scare your pants off. 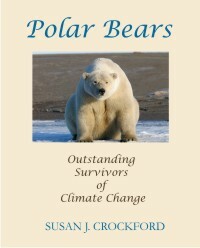 This is a great read for fall, when polar bear encounter stories abound. Hopefully the reports this year won’t include the kind of serious mauling that happened in 2003.